Reaching our full potential as individuals is a life-long journey. As we work to increase self-awareness and be present and compassionate people, we can look to Jewish tradition to guide us. These universal values are rooted in the history of the Jewish people and are valuable, relevant and resonant today. Tension in the early modern period in eastern and western Europe moved some Jewish teachers to create frameworks for learning AND living the values contained in Jewish texts. The realities of Jewish life, including emancipation and enlightenment, failed messiahs, pogroms and poverty, and the movements of hassidim, their rivals the mitnagdim, and the secularists challenged those in the closed study halls to "get real." The Mussar movement instituted meeting in study and support groups to apply their book learning to life situations, and hold each person's "feet to the fire" to help in personal moral improvement. In this session we will look at the life and times of the founder and development of the Mussar movement, Rabbi Israel Lipkin Salanter. We will review a few mussar study group sample texts for the basis of knowing and imitating God, and see some of the ways these groups continue to chart the improvement of personal characteristics. Finally, we will see how the growing popularity of this self-repair movement can be the beginning of a real-world repair. 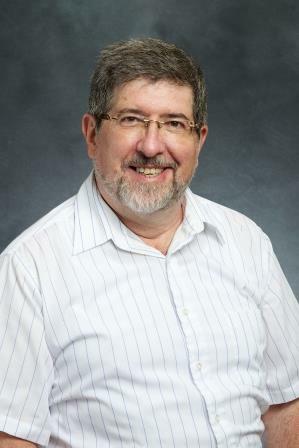 Avi West is Senior Education Officer and Master Teacher, Jewish Life and Learning, at The Jewish Federation of Greater Washington, where he integrates integrating Judaic content into pedagogic and identity building experiences and articles, adult learning, and congregational innovation. He consults, develops, and writes educational resources for the Federation’s programs. Previously, West was the Director of the Shulamith Reich Elster Resource Center and Master Teacher at the Partnership for Jewish Life and Learning, where he developed educational resources for educators, adults and families. He has worked with congregations to raise the quality of learning for all and mentored dozens of Jewish professionals, and also worked for and directed the Board of Jewish Education of Greater Washington for almost 30 years. He has received honors from The Jewish Federation of Greater Washington and the Foundation for Jewish Studies.